The European launch of the "Facebook phone" has been delayed following disappointing US sales and negative feedback. 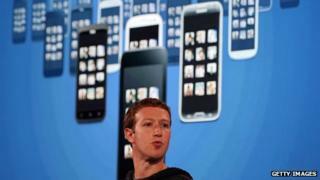 The HTC handset runs Facebook's enhanced Home software, designed to be more integrated into the smartphone than a normal app. UK mobile operator EE confirmed that "following customer feedback" the Europe launch had been stalled. It follows a raft of high-profile employee departures from HTC. In recent months, chief product officer Kouji Koudera, Asian chief executive Lennard Hoornik and the firm's director of global communications Jason Gordon have all departed. Five other senior figures have also left the company. Signs of discontent were played out in public when Eric Lin, an ex-HTC product strategy manager, tweeted: "To all my friends still at @HTC - just quit. Leave now. "It's tough to do, but you'll be so much happier, I swear." Mr Lin had left HTC in February to join Microsoft-owned Skype. Despite being one of the industry's top players several years ago, the smartphone maker's market share has fallen sharply and its income fell to the lowest level in eight years towards the end of 2012. Mark Zuckerberg launched Home on the promise it would "change the relationship" people have with their phones. The free-to-download software effectively replaces the phone's home screen with a Facebook feed and chat options. It was initially exclusively available on HTC's First smartphone, before being rolled out to a selection of other Android-powered handsets. HTC had hoped the Facebook deal would boost sales of the First device, but the handset has since been heavily discounted - and dropped by AT&T, the biggest US mobile network. In a statement, Facebook said it had been listening to users' "experiences" of the software. "While many people love it, we've heard a lot of great feedback about how to make Home substantially better. "As a result we're focusing the next few months on adding customisation features that address the feedback we received. "While we focus on making Home better, we are going to limit supporting new devices and think it makes a lot of sense for EE and Orange to hold off deploying the HTC First in Europe." UK mobile network EE said it would contact customers who had shown an interest in the device. "[Facebook] have recommended holding off launching the HTC First in the UK," the company said. "Rest assured, we remain committed to bringing our customers the latest mobile experiences, and we will continue to build on our strong relationship with Facebook so as to offer customers new opportunities in the future." Can HTC's new phone challenge Apple and Samsung once again?